Blood evidence is all the rage in DWI cases. Like most DWI defense lawyers I need an expert to help analyze blood results. Let’s talk to one. Today’s expert is Dwain Fuller, Technical Director of the Toxicology Laboratories at a leading North Texas medical center. Mr. Fuller holds a Bachelor of Science degree in Chemistry from the University of Oklahoma and has worked in toxicology since 1984. His impressive bio would devour this entire post, so click here for his complete resume. This could be discussed in all of its nuances for several pages and still not completely exhaust the subject, but to be somewhat brief: It depends on what you mean by your question. If you mean “Which test most accurately measures the concentration of alcohol in a person’s blood?”, then the answer is, “a blood test is more accurate than breath.” A breath test can only estimate the alcohol concentration in the blood. To estimate the blood alcohol concentration (BAC) from a breath test it must be assumed that a 2100:1 concentration ratio exists between blood and breath. In fact this is an average ratio; some people have a higher ratio, some lower. In fact, the actual average ratio is probably a bit higher at around 2300:1. Therefore, calculating a BAC from a breath alcohol at the 2100:1 ratio would likely underestimate the BAC to some degree. However, Texas law recognizes the problem of the 2100:1 ratio being an average and defines the per se concentration separately for each allowed specimen. In other words, Texas law defines the per se concentration in whole blood as 0.08 g/dL, in breath as 0.08 g/210 liters (2100 dL) of breath, and for similar reasons, urine per se concentration is defined as 0.08 g/67 mL of urine. Since there is no need to convert to a BAC the problem of what ratio to use is eliminated. Probably what you are really asking is “Which test is analytically more accurate (and/or precise) in measuring alcohol in its respective matrix? The short answer is: “Both techniques are based on sound analytical principles and are capable of highly accurate results.” However, there are several other factors that must be considered. Breath tests are typically performed by specially trained law enforcement officers. While I have the greatest respect for most law enforcement officers, analytical chemistry is usually not the course of study one pursues to work in this field. Likewise, I would put more confidence in a law enforcement officer protecting me and my loved ones from bad guys than I would in most of my forensic toxicologist colleagues. It’s all about doing best those things we understand the best. Since a breath test is conducted directly on a living human subject, there exist certain conditions that must be controlled to ensure accuracy and precision. For example the subject must be observed for a period of at least 15 minutes to ensure that there is no remaining mouth alcohol or that the subject hasn’t place anything into his or her mouth or belched. During the test the subject must blow for a sufficient period of time to ensure that the air sample is of deep lung or alveolar air. The concentration of alcohol in the air first expired from the lungs is typically lower in alcohol concentration than that of deep lung air. In other words, the concentration of alcohol in the expired air being blown into the breath testing device changes from the beginning of the blowing until the end. Furthermore, the breath instrument works on the assumption that the breath temperature is 34C which may or may not be the case, depending on the subject. This is important because this is the temperature at which the device is calibrated and the temperature at which the reference sample, used to validate the results, is obtained from the breath simulator. This is based on a physical chemistry principle known as Henry’s law. According to Henry’s Law, at a given temperature, the amount of alcohol in the air above a solution of alcohol (reference sample) is proportional to the amount of alcohol in the solution (reference solution). If the solution temperature is low, the reference results will be low. If the solution temperature is high, the reference results will be high. Likewise, if the subjects body temperature is increased, his or her breath alcohol concentration will be increased and vice versa. There exist many other factors that must be controlled or otherwise dealt with, such as electromagnetic interference and possible interfering substances such as acetone or other volatile compounds that may have been produced, ingested or absorbed by the subject, or are perhaps in the ambient air of the room housing the testing device. To be fair, most testing devices enlist “fail safe” mechanisms in an attempt prevent errant readings from these sources, but there exists some dispute at the effectiveness of these mechanisms. Perhaps you might want to envision a juggler; the more balls one must keep in the air, the more chances are that you will drop one. In contrast, blood alcohol testing is performed in a laboratory, typically by personnel with degrees in chemistry or a closely related field. Analyses are usually performed by a technique known as headspace gas chromatography. Since only a static in-vitro blood specimen is being tested there is no need to control for mouth alcohol, blowing technique, belching, breath temperature, etc. The gas chromatograph is most often calibrated daily and the calibration is checked by one or more control specimens during each analytical run. The gas chromatograph closely controls all the analytical conditions and due to the use of a technique known as “internal standard methodology”, any slight error in temperature or pressure control, is compensated for automatically. Headspace gas chromatography also separates all of the volatile compounds in the blood such as acetone, toluene, methanol, etc. from each other, and, if desired, can quantitate each component individually, thus the problem of interference is eliminated. Probably the greatest advantage that blood alcohol testing has of over breath testing is that blood alcohol testing determines how much alcohol is actually in the blood of a subject, the specimen in which the vast majority of all intoxication studies have been performed. One should also not discount the fact that the actual specimen tested by the laboratory remains in existence and is available for retest by an independent laboratory. In summation, if I were a prosecutor, I would always prefer a blood alcohol result over a breath test; there is much less to argue about in court and my expert witness would have the requisite science background to answer any questions. If I were a defense attorney, vice versa, for the same reasons. If I were a defendant, I would prefer a breath test if I were guilty and a blood test if I were innocent. Why? If I were guilty, I would “roll the dice” as it were, and hope the gods of normally distributed error would smile on me. If they didn’t, I would still have things to argue about in court. If I were innocent, I would want the best possible answer to prove that fact. That is blood. Short answer: All of the above. Long answer: Due to the fact that blood alcohol testing is performed on a static in-vitro blood specimen, the need to control the actions of the testing subject, i.e. mouth alcohol, belching, etc., is eliminated. Of course good analytical chemistry requires control of several other factors, calibration, quality control, methodological conditions, specimen storage, chain of custody, etc. In forensic toxicology laboratories, these factors should have all been carefully considered and taken into account when designing the assay. Once an assay has been designed it should have been extensively validated to assess its ability to yield accurate and precise results as well as its ability to correctly identify and quantitate alcohol in the presence of potentially interfering substances. After the assay has been successfully validated a standard operating procedure (SOP) is developed to ensure that the assay is always performed in exactly the same way by all analysts. Furthermore, forensic toxicology laboratories participate in proficiency testing programs in which blind specimens are analyzed and the results are compared to the target concentration and the results of peer laboratories to assess laboratory performance. You offer blood retesting as a service. Have you seen variations between your retests, and the original test result? It is not uncommon at all to find some variation in results from one laboratory to another. In fact, statistically speaking, it would be odd to find that you were always in agreement. I think the question is, “How much variation, and does it make any difference?” Typically the variation in results between reputable forensic laboratories is in the range of plus or minus 5-10% of the determined analytical value. That is plus or minus 0.004 to 0.008 g/dL at the 0.08 g/dL level. This variation would only be significant at the per se concentration. There would be no significant interpretive difference at these variations. What discovery issues are most often missed in blood testing cases? I will often begin to review a case thinking, “I don’t think there is anything I can do to help this person”, and then come across some seemingly obscure item on the report that is inconsistent with the results reported. For example, I recently reviewed a case where a laboratory had reported and quantitated the presence of a drug belonging to the class of drugs known as benzodiazepines. This is the same class of drugs that Valium™ is in. The actions of the driver, as described by the witness, were consistent with what one would expect from the drug’s concentration. Then I looked more closely at the toxicology report. The lab had reported that the benzodiazepine screen results were negative! This was probably just a typo, or may even have had a valid scientific explanation, the attorney didn’t wish to pursue this finding, but it makes one wonder what you might find if you actually looked at the laboratory protocols and the actual analytical data that underpins the final report. I read your medical marijuana paper, very interesting. One of the arguments against legalization is that it will increase DWI. In Texas, the law prohibits driving while intoxicated, not drinking and driving. Could one smoke pot and not be intoxicated? 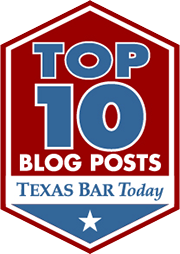 (Texas defines intoxication as the loss of your normal physical and mental faculties). While the legalization of marijuana is quite a political debate and I would prefer not to wade too deeply into these waters, but to answer your question fully I think perhaps we should look at the way marijuana is used as compared to alcohol. It would be foolish to suggest that alcohol is not abused by a great number of people. However, many people also drink a drink or two over a matter of a couple of hours with friends, or have a beer or glass of wine with dinner. These people may simply enjoy the taste of their favorite alcoholic beverage. Due to the absorption and elimination characteristics of alcohol under these conditions, these individuals will not reach the 0.08 g/dL per se limit nor will many of them even exceed 0.03 g/dL. These individuals would in the vast majority of cases not rise to the legal standard of “loss of normal physical and mental faculties.” In contrast, the vast majority of marijuana users use marijuana for the express purpose of becoming intoxicated and will use it in a manner so as to achieve just that result. That is, purposely altering their normal mental faculties. While it is possible to smoke pot and not become intoxicated under the legal definition, if one smoked a small amount over an extended period of time, this is not the typical usage pattern; the majority of people who smoke pot do in fact become intoxicated under the legal definition. Furthermore, since marijuana is typically ingested by smoking, it is absorbed very quickly into the blood stream and thus rapidly delivered to the brain, making it difficult to smoke typical “street strength” marijuana without experiencing mental impairment. Of course people use marijuana and drive now, under the present law. The real question is perhaps, “If marijuana is legalized (and that word can have many definitions), would we see an increase in DWI?” I’m not a prophet, but I would predict, yes, but not for the reasons you might think. If marijuana is legalized, the State will simply establish a per se level that defines what level of tetrahydrocannabinol (THC) constitutes intoxication under the law, as is done in several other states. This will remove much of the burden of proof of intoxication from the State and pave the road for easier convictions under the statute. More convictions = more DWI. However, for obvious reasons, possession convictions should decrease. Just a few words about my philosophy if you will indulge me: I read things written by defense attorneys that refer to some experts as a “prosecution witnesses” and things written by prosecutors referring to some experts as “defense witnesses” or “hired guns”. I know that these individuals exist, but that is certainly not the way it should be. I have consulted and testified on both sides of the aisle and have found neither the prosecution nor the defense to have a monopoly on truth and virtue. A forensic scientist’s opinion should be independent of which side of the aisle is paying the bill. In the words of Dr. P.C.H. Brouardel a 19th Century French Medico-legalist, “If the law has made you a witness, remain a man of science. You have no victim to avenge, no guilty or innocent person to convict or save — you must bear testimony within the limits of science.” This is what I strive to do…tell the truth and let the attorney decide if my opinion helps or hurts his client, and let the jury decide guilt or innocence.